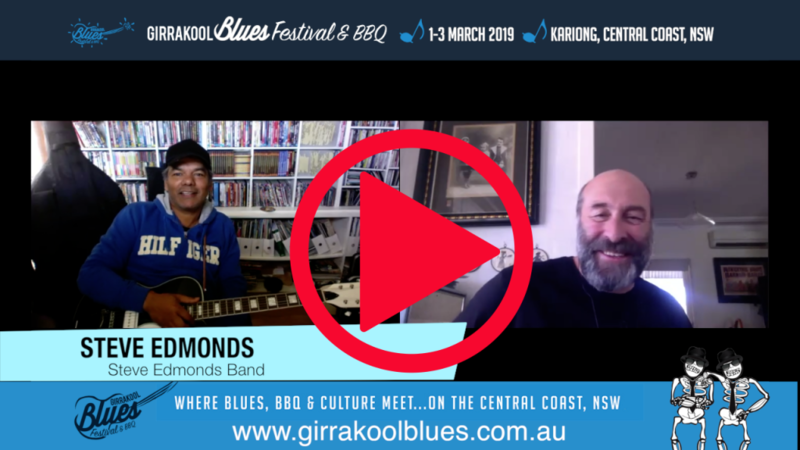 No 4 Video in the Series – Here we go again, Bruce talks to fellow Central Coastian, Steve Edmonds – We learn about what instrument he first started to play and the guitarists that have influenced him during his high profile career as a go to Guitar Man/Bandleader and what we can expect to hear when he jumps onto the Girrakool stage with his RED HOT BLUES BAND in March 2019. We like the interview as it’s real with all the ups & downs of the internet speed we had to deal with ! !